SP Music Management represent Spray as a booking agent. 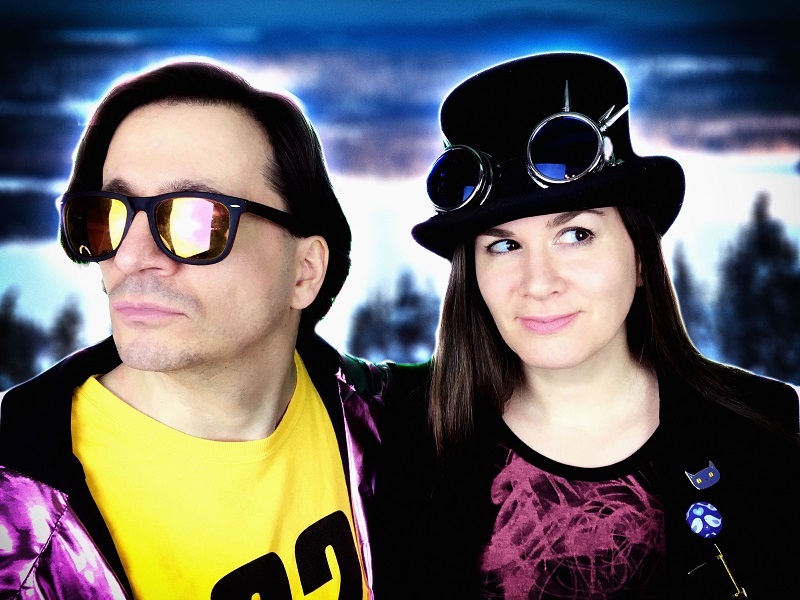 Spray are a synthpop/electropop duo who formed when their previous group, chart-topping hitmakers and cult indie-favourites the Cuban Boys, disbanded. The Cuban Boys were huge favourites of John Peel, they were number 1 on the Festive 50 twice and recorded numerous BBC sessions for John. Spray’s first album Living In Neon (Ninthwave Records 2002) was a big college hit in the US and they continued to work in the industry producing, vocalising and occasionally performing on hit records. With his long term collaborator Daz Sampson, synth player Ricardo Autobahn scored a top 10 UK hit with Glen Campbell updating ‘Rhinestone Cowboy’, and vocalist Jenny McLaren joined them as vocalist on hits around Europe such as ‘The Woah Song’ (DJ Daz), ‘Yippie I Oh’ (Barndance Boys) and ‘Flying High’ (Filo Bedo). In 2006, Sampson represented the UK in the Eurovision Song Contest with ‘Teenage Life’, written and produced with Ric, and with Jenny providing treated pitch-shifted vocals for the famous chorus. Following a second Spray album in 2007 (Children Of A Laser God) the band focused on behind-the-scenes production work, occasionally releasing iTunes digital EPs (‘Everything’s Better With Muppets’ becoming a viral hit in 2010). A new studio album Enforced Fun in 2016 was so well received the band decided to transform Spray into a touring machine, with their first ever live dates. They have also, bizarrely, become a firm favourite of TV’s Hacker T.Dog, and have consequently recorded a few songs with him. Jenny is a renowned live vocalist and backup session singer, and Ric plays live synths with the legendary Welsh punk-pop band Helen Love.